I believe that every girl should have a pair of black knee high heeled boots. They are as much a staple in a girl’s wardrobe as a LBD. Unfortunately my old black boots were literally worn to death and starting to fall apart & I had serious issues finding another pair that I loved as much as them. Ever girl’s idea of the “perfect boot” is different ~ I wanted a plain shaft (no buckles!!) smooth black leather (or faux leather) boot that came to just below my knee. I wanted a rounded pointy toe and a good sized heel, not too high that I couldn’t last all day in them. After months…literally…I found them!! And I’m loving that the zipper is on the outside of the boots rather than the inside!! Such a cute detail that definitely adds to the appeal of these boots while still being understated. Wore this outfit to see the ULTIMATE Christmas Concert…Trans Siberian Orchestra! AMAZING!! I couldn’t recommend any other Christmas show more. I mean who doesn’t love the Radio City Christmas Spectacular but this was seriously one of the best concerts I’ve ever seen. 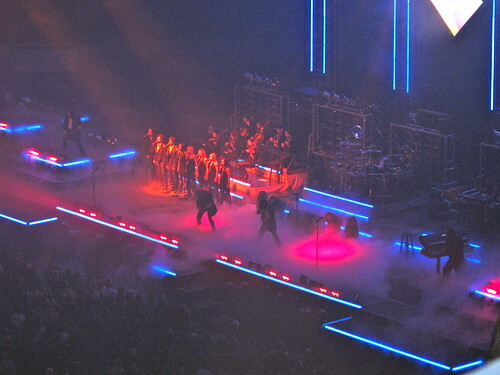 The music, the lights…everything…it was a SHOW. If you ever have the chance to catch them in concert during the holidays DO IT! 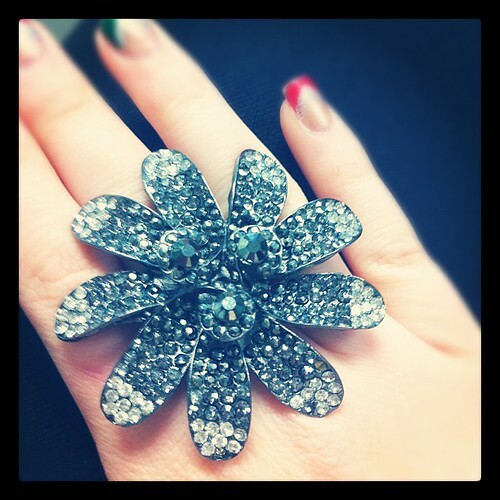 An Instagram closer look at my amazing enormous flower ring ~ thanks Renee!!! !